Firenze Red Metallic. 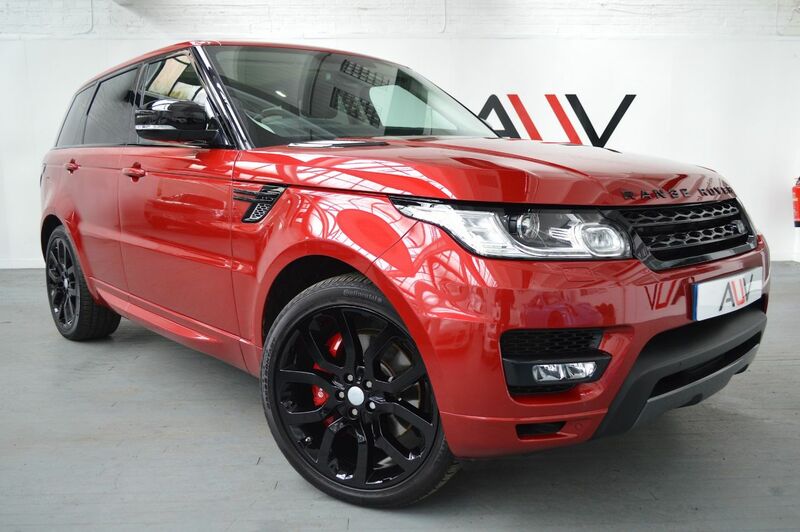 We are very pleased to offer on sale this fantastic Range Rover Sport 3.0 SD V6 HSE DYNAMIC, Full Land Rover service record last completed @ 17,518 miles on 25/10/2018. Manufactures warranty to 30/09/2019. Full panoramic fixed glass sunroof, Power sunblind, Ivory headlining, 22-inch 5 spoke gloss black alloy wheels with red brake callipers, Rearview reversing camera with front & rear parking sensors, Contrasting Ebony & Ivory full leather interior, Heated seats for passenger and driver, 4-way electric with memory. Heated Ebony black leather steering wheel, Black paddle shift, multifunction controls, mechanical height and reach adjustment, Cruise control, Keyless entry & stop/start, Heated front windscreen, Xenon headlights, Heated headlight wash system, Automatic dimming rearview mirror, HD Satelite Navigation system, HDLF Touchscreen, DAB Audio broadcasting, AUX/I-Pod inputs, Gloss black bonnet louvres, Front & side grills, Gloss black model badges, Tinted rear windows, Gloss black powered wing mirrors with auto-dipping. Before you reserve a vehicle we ask that you read both our Business and Warranty conditions in the 'Terms' tab above. Specialists in vehicle financing we can offer our clients market leading, bespoke funding packages. Finance examples are subject to status, regulated and monitored by the FCA. Goods and services are supplied by Approved Used Vehicles Ltd. For further information on how to reserve this vehicle or tailor your finance package please call us on 01455 446505.